Founded in 2013 by Alexandra Weissner, Lexa Public Relations is a results-driven, boutique public relations agency specializing in hospitality and lifestyle brands. Our portfolio ranges from restaurants and craft beer to indie and lifestyle brands. 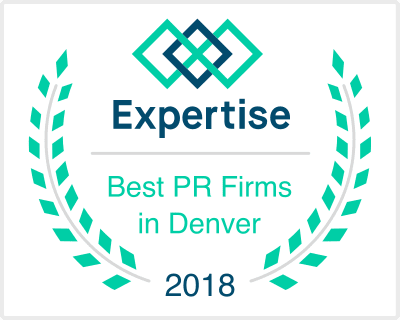 Based in Denver, we are an agency with a passion for the communities we live in. Unlike typical agencies that don’t understand the intricacies of your business, our industry expertise makes us uniquely qualified to position your brand within the food and beverage industry. Think of us as an extension of your company; we are not an agency that only interacts with brands by billing hourly work. We strive to be holistically integrated with our clients’ businesses to ensure that our strategies and efforts are in-line with what’s best for your brand at every point in time. We believe that developing a communications strategy for your brand should be collaborative and engaging. Whether it's the newest hop variety, foodie trend, or out-of-this-world event, we want to be in the know. Your work is our passion. At Lexa PR, we’re dreamers and hustlers and we live and breathe the brands that we represent. We’ll not only help you achieve your goals, we’ll help you crush them. Our creative strategic planning and execution has landed clients in publications such as Bon Appétit, Men’s Journal, USA Today, The Wall Street Journal, Food & Wine, All About Beer and Fast Company. Together as a team, we’ll help you build your brand and reputation.